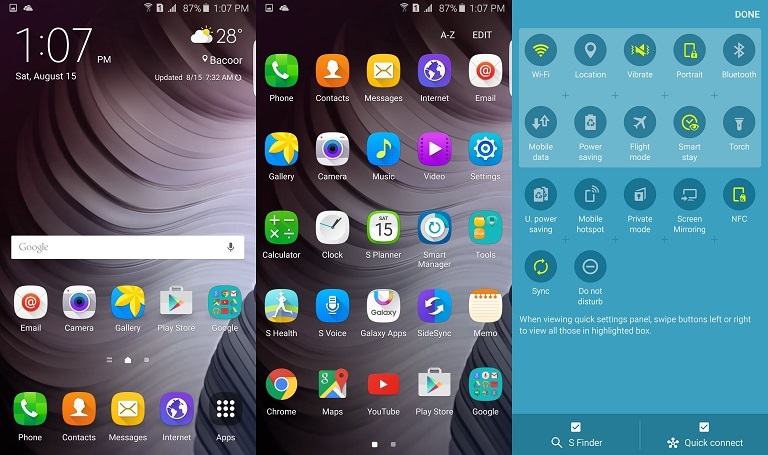 The post Samsung Galaxy S6 Edge Plus Review appeared first on YugaTech | Philippines, Tech News & Reviews. 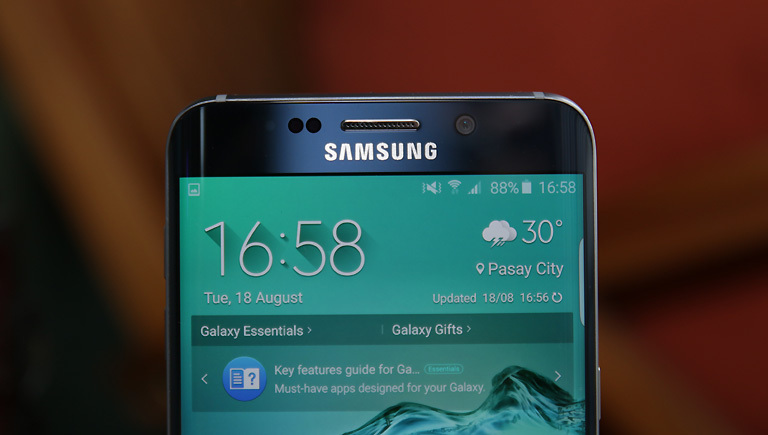 It looks like Samsung has a winner in the Galaxy S6 Edge. 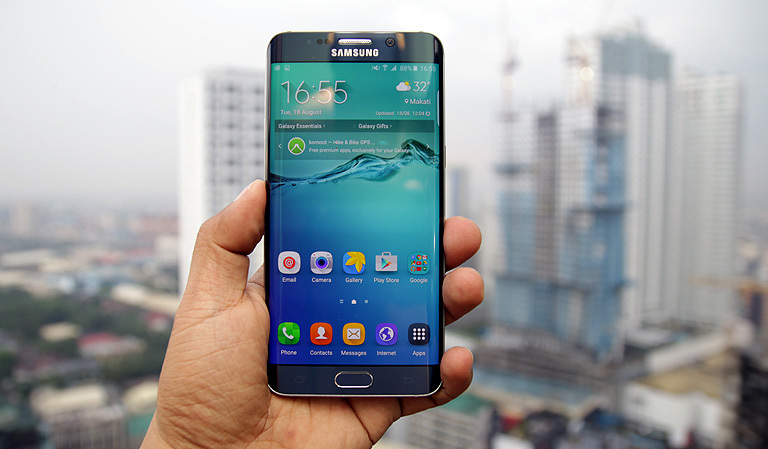 So much so that they made a bigger version of it — the 5.7-inch Galaxy S6 Edge+. Announced alongside the Galaxy Note 5 last week, the Galaxy S6 Edge+ offers a supersized version of the unique and elegant dual-curve display that many users fell in love with. 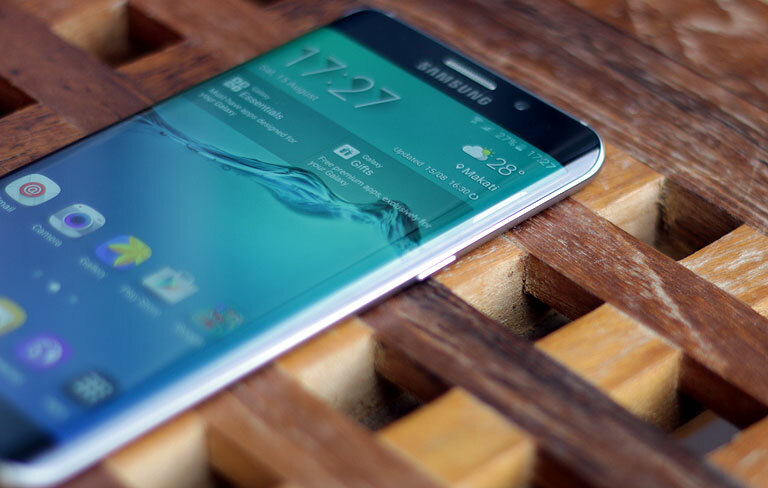 In a way, the Galaxy S6 Edge+ could be considered the phablet that replaces the Galaxy Note Edge (sans the S Pen) that arrived earlier this year. Some would say that the S6 Edge+ is just a bigger version of the Galaxy S6 Edge, there’s truth to that, but we’d like to say that it’s more than that. The first time you hold the S6 Edge+, you’ll immediately notice how premium the device is due to its metal build and sleek design. 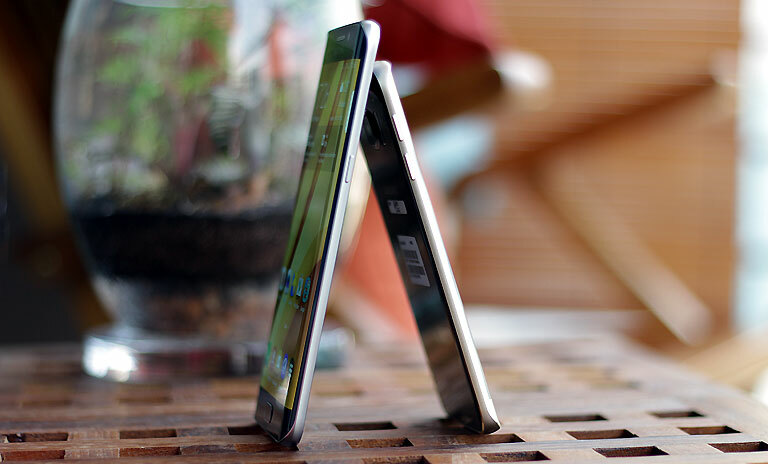 Obviously taller and wider than the S6 Edge, and that is because it sports a larger 5.7-inch curved display coupled with Corning’s Gorilla Glass 4. Situated above it are the earpiece, notifications light, a couple of sensors, and the 5 megapixel front camera. Down below are the home button which also doubles as a fingerprint sensor, and two illuminated capacitive buttons for Recent apps and Back. 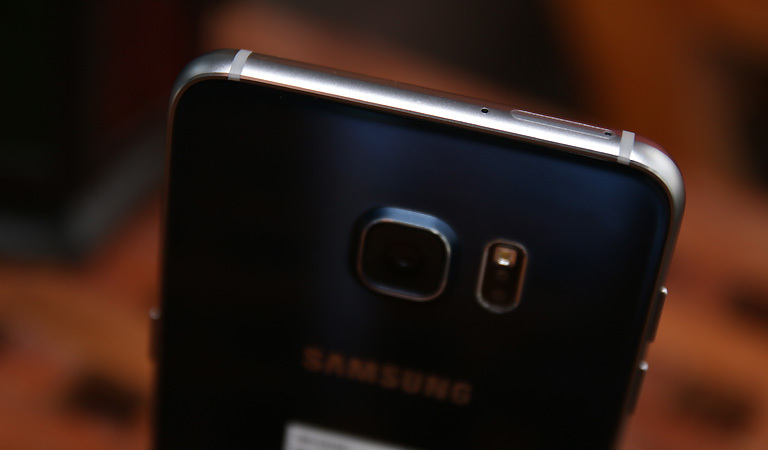 The frame of the S6 Edge+ is where most of the metal is. Looking at the sides, here you will see where the screen and glass curves and meets the edge of the metal frame. The left side is where the volume controls are located, while on the right is the power/lock button. These buttons are also metallic to match the look and feel of the body. Found right up to is the SIM card tray that can house two nano-SIM cards. Also found here is the microphone. Down below are the headset jack, microphone, microUSB port, and the speaker. Flip the S6 Edge+ and you will see the flat back which is also protected by Gorilla Glass 4. Also found here are the protruding 16 megapixel camera which is not everyone would be fond of, the LED flash, and couple of sensors to monitor your heart-rate. On hand, the S6 Edge+ wastes no time convincing the user that it is a premium device. The smooth curves of the glass which then abruptly ends at the cool edge of the metal frame feels provides a satisfying feeling on the fingers that it makes us want to pick up and hold the device more often that we would want. That being said, S6 Edge+’s larger stature combined with the signature curved glass makes for a really good phablet. 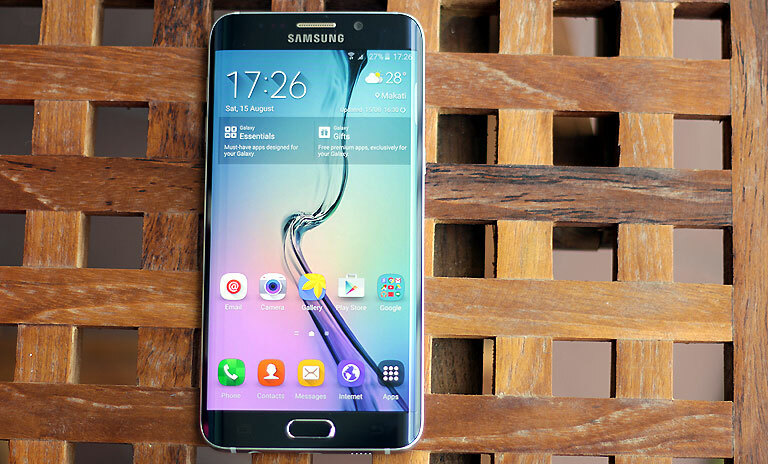 The Galaxy S6 Edge+ is equipped with a 5.7-inch Super AMOLED display with Quad HD resolution or equal to 518ppi. As expected, it’s crisp, vibrant, and has very good viewing angles even when used outdoors. It doesn’t stop there though as Samsung included a few features hidden in the Settings like One-handed operation that allows you to reduce the size of the screen, Smart stay which detects your face with the front camera so that the screen stays on while you’re looking at it, and Screen mode which lets you choose between four different presets that change the screen’s color range, saturation, and sharpness depending on your usage. When it comes to producing sound, the S6 Edge+ is no slouch, either. Although the speaker is almost the same size as a microUSB port, it is capable of producing rich sounds with the right blend of bass and treble. It won’t compete with your external speaker but it’s loud enough for some casual listening. Now if you want to take your listening up a notch then we suggest that you use a pair of good headphones as hidden inside the player’s settings is the SoundAlive option. 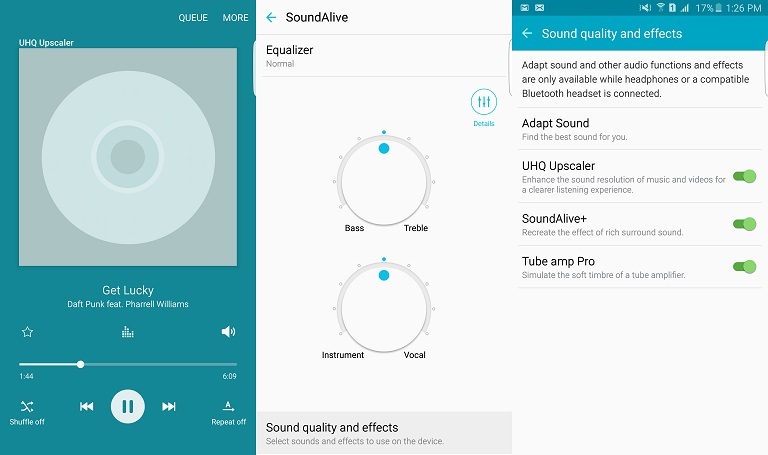 From there you can adjust the Equalizer, UHQ Upscaler, SoundAlive+, and Tube amp Pro which, in a nutshell, improves the quality of sound you are listening to. * S Health – Lets you monitor your physical activities as well as utilize the phone’s built-in sensors to monitor your heart rate, SpO2, and Stress level. 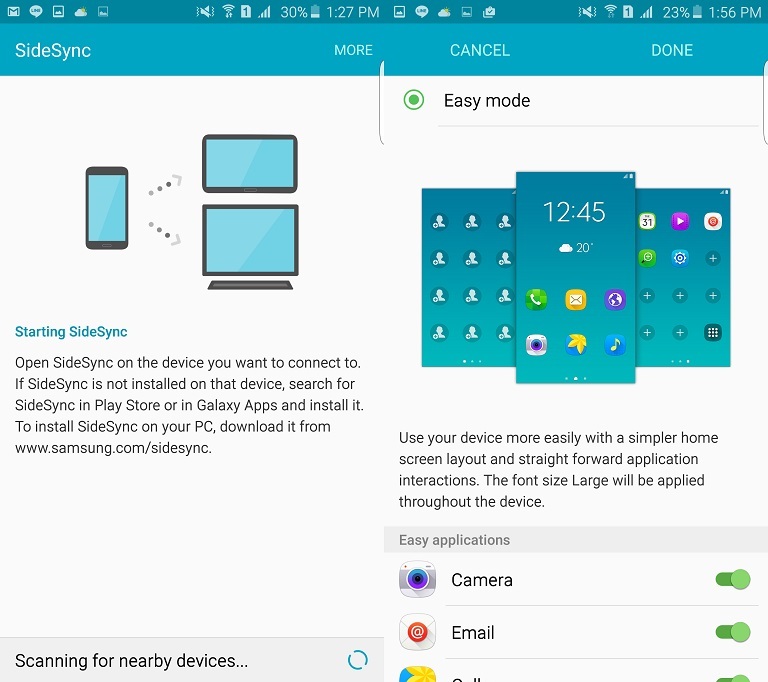 * SideSync – Lets you wirelessly transfer files to your computer as well as answer calls or texts with SideSync for PC. * Smart Manager – Gives you an overview of the phone’s battery level, remaining storage space, RAM usage, and device security status. * Split screen – Lets you use two applications in the same screen for easy multi-tasking. * Easy Mode – A simpler version of the UI with large fonts for a more straight-forward approach. 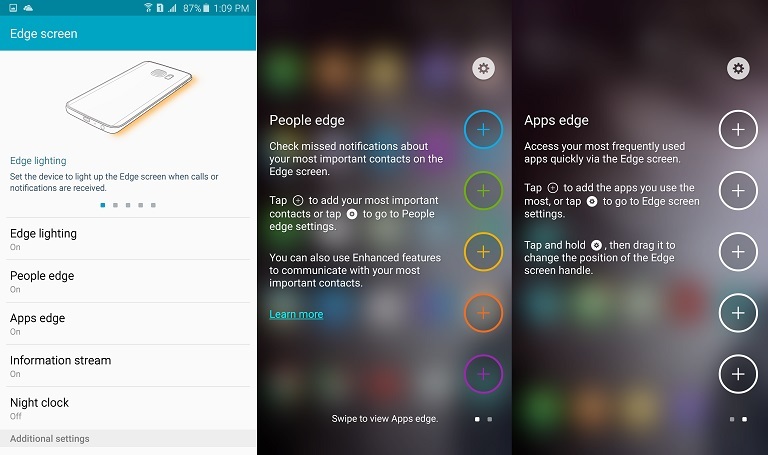 * Edge Screen – Allows the phone to light up the edge of the screen when calls or notifications are received. ~ People Edge – Allows you to check notifications about your most important contacts by swiping from the edge of the screen. ~ Apps Edge – It’s like People Edge but this time it lets you access your most frequently used apps. ~ Information stream – View feeds related to your interests on the Edge screen while main screen is turned off. ~ Night clock – Shows a clock on the Edge screen while the screen is off. There are a number of pre-installed apps as well like the Samsung Galaxy Life and Samsung SportsFlow, the usual Google apps are also here, and Microsoft Office apps like Excel, PowerPoint, Word, OneNote, OneDrive (with free 100GB of online storage for two years), and Skype. Like the S6 Edge, the S6 Edge+ starts at 32GB of non-expandable storage. The System Memory alone eats up 7GB, leaving your with a total usable storage space of 25GB. The camera on the Galaxy S6 was probably the best over-all camera sensor that Samsung decided to also use it on the Galaxy S6 Edge+ and the Note 5. Note: We checked the firmware and found out that the review unit that we got uses a Samsung ISOCELL sensor. We’re not sure if other units will have the Sony IMX240 sensor. Both of our 2 review units. 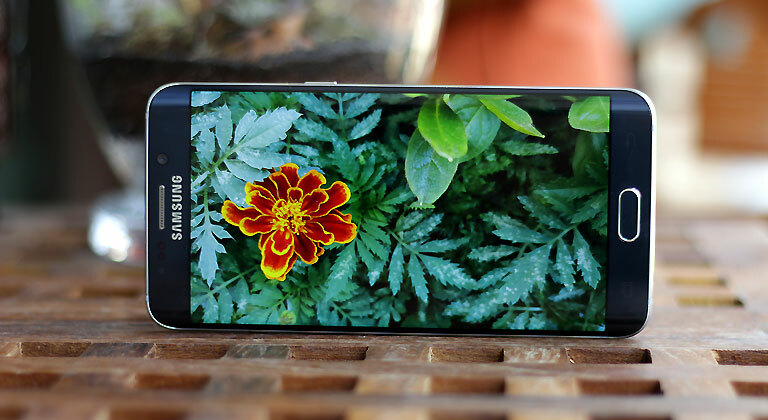 As such, we expected the same level of performance and image quality as the Galaxy S6. That’s on top of additional features Samsung added into the native camera app on the S6 Edge+. True enough, the 16-megapixel shooter did not disappoint. It’s fast, crisp and clear. Double-tapping the home button to launch the camera app is the best shortcut they’ve done. Even low-light shots are still clean with very little noise as we’ve also seen in the older S6 and S6 Edge. 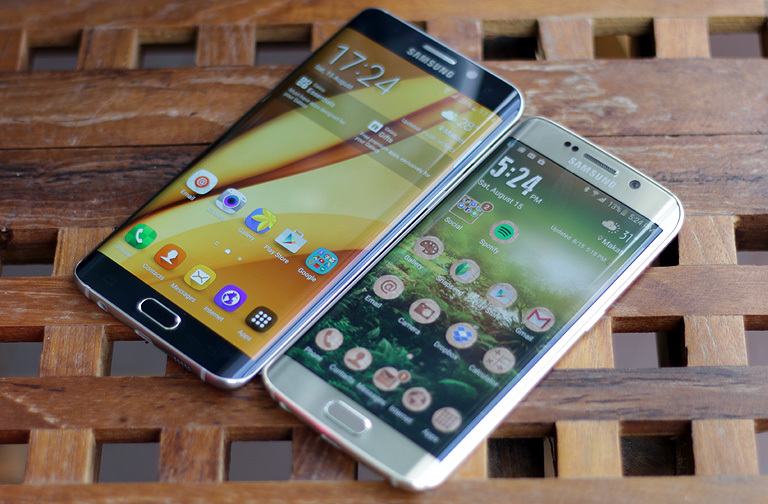 Running the same Samsung Exynos 7420, we expected the Galaxy S6 Edge+ would perform as good as the S6 and S6 Edge. Our benchmark scores showed very similar results compared to its predecessor. The highest score we got was 67,403 from Antutu Benchmark while Quadrant Standard showed a score of 34,191. The over-all experience is just similar to the Galaxy S6 and S6 Edge so in a way we’re getting a bigger screen real estate for the same great performance. Call Quality, Connectivity and Battery Life. In some regions, the Galaxy S6 Edge+ also supports Cat. 9 LTE and while this may not yet still be supported in the Philippines by local telcos, the feature is more like future-proofing the mobile connection. One of the more surprising results we saw was the battery test. With a 3,000mAh battery, we thought the S6 Edge+ would only perform as well as its smaller sibling and that the 400mAh difference will be compensated by the much bigger screen. 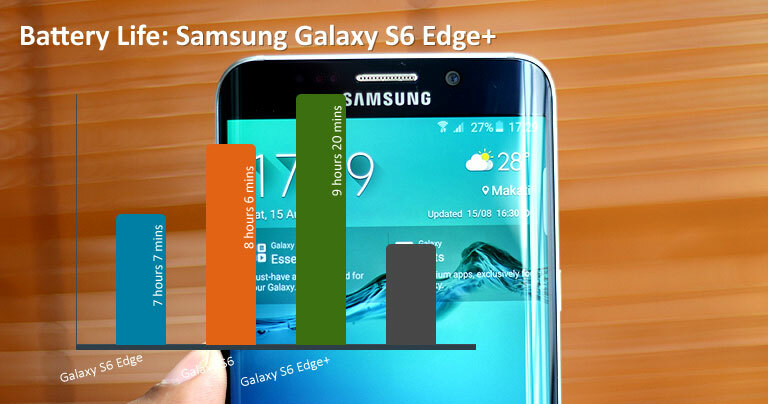 Based on our PCMark Battery Test, the Galaxy S6 Edge+ got a score of 9 hours and 38 minutes, besting the Galaxy S6 in the same test environment. 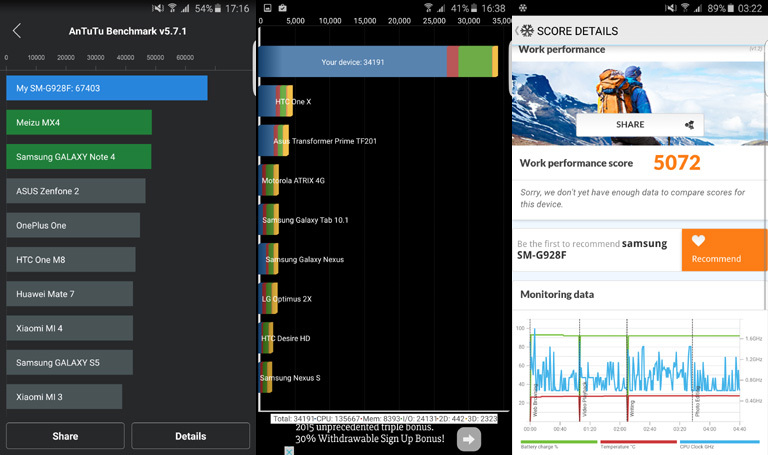 It looks like even with a bigger screen the 14nm Exynos chip and 4GB DDR4 RAM did a lot of wonders in terms of battery optimization. Running our own video loop test for battery life yielded 10.5 hours on a full charge at 50% brightness and 0% volume. Calls are very clear and network signal is pretty strong. We never experience any interference or delays in sending and receiving SMS. 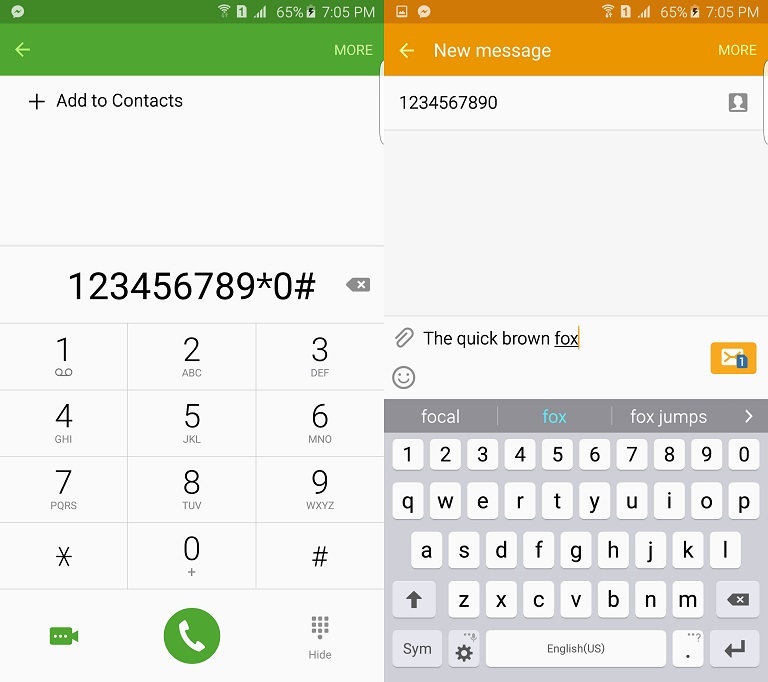 Samsung has been incorporating a number of extra connectivity features in the Galaxy series for a while but the ones like Mirrorlink (car connectivity) and Download Booster are among the ones we found very useful. And while we confirmed that the Galaxy Note 5 that will be released in the Philippines will have dual-SIM support, we cannot say the same about the S6 Edge+. Even our 2 review units are just single SIM. The introduction of the Galaxy S6 Edge+ is a vindication that Samsung is on the right track with their new design philosophy. Bigger screen real estate, more RAM and more battery capacity. The single biggest selling point of the S6 Edge+ is the dual-curve front glass panel. It is a huge differentiator in a market flooded with so many flagship smartphones trying to get your attention as well as your wallet’s. Samsung is trying to perfect a flagship smartphone they think greatly embodies the Galaxy line-up. The Galaxy S has had its great and no so good years and it looks like this time around they’ll be having another winning year. The Samsung Galaxy S6 Edge+ has a suggested retail price of Php39,990 for the 32GB and Php44,990 for the 64GB variants, respectively. Pre-orders are ongoing until August 30 and will be released in the market on September 5.